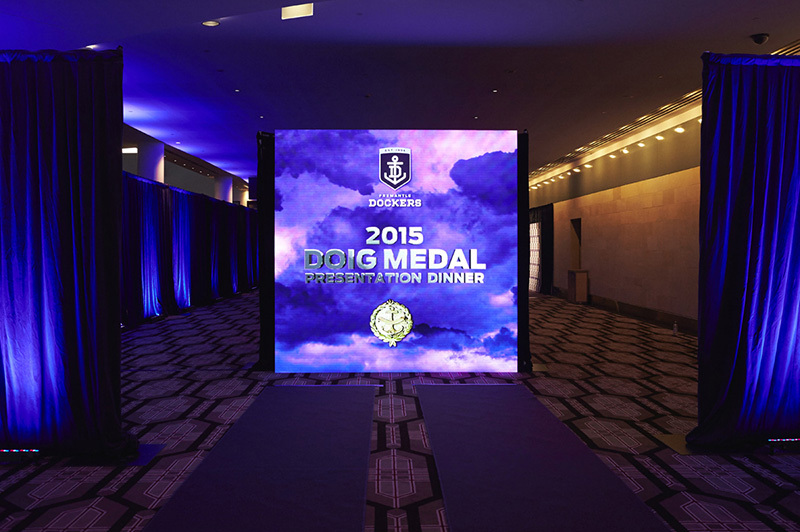 Present the Fremantle Football Club’s end of season Doig Medal for 2015, recognising the spectacular achievements of the players in one of their most successful seasons. 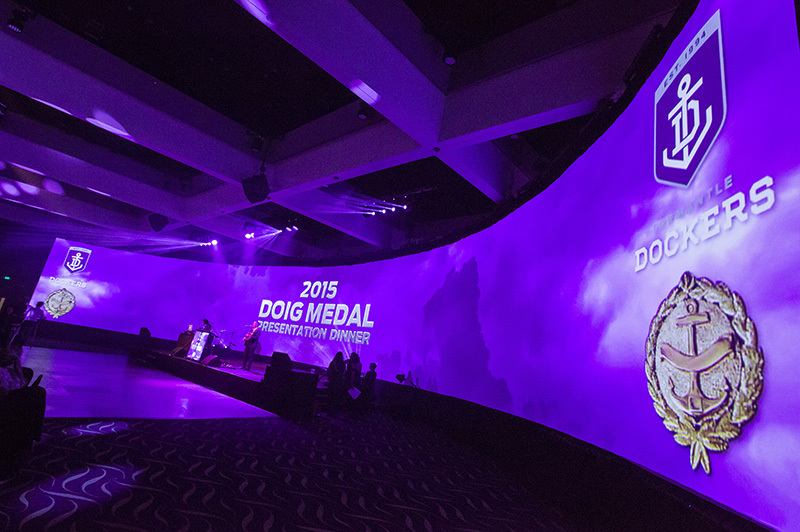 Lux introduced Perth’s first 40m side curved projection screen to create a truly awe-inspiring canvas on which to present the award nominees and player achievements. 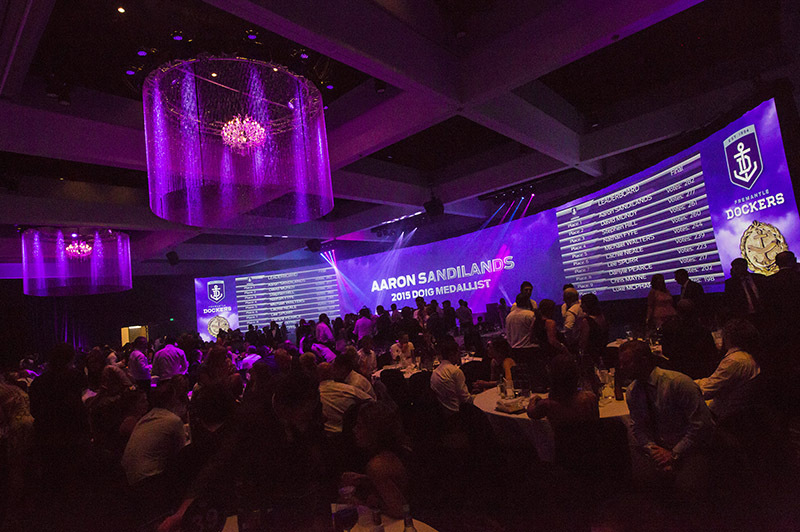 This was combined with our events management skills, production expertise, and extensive inventory of lighting and video equipment to completely envelop the ballroom in “All Things Freo”. The huge scale and presence of the 40m curved projection and custom multimedia left the event guests in no doubt about the mightiness of their team and its players.